Janakpur Jayanagar Railway under construction and its curruption between Indian Company who are building the Railway in Janakpur. 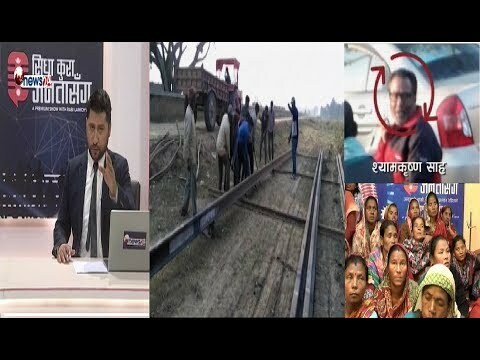 Sidha Kura raising the Topics about Janakpur Railway where Indian Company are fraudulent for the material. A crosser Udhyog, Butwal which is not following minimum rules for the environment, Talking about A medical college where staffs are striking for the rights. Talking about Taxi where Traffics punished those who are not using meter and drivers of taxi are striking in Pokhara. Sidha Kura is a popular Tv show where public issues are raising through Live TV program by Rabi Lamichhane.